Take a look at that old phone. Remember when it was new, shiny, vivacious, and full of life? Remember how glorious it was? Those days are gone: Your phone is now a scuffed, marred shell of its former glory, especially now that you're involved with that shiny new phone you just got. Your old phone may still have some life left to it, though, and someone, somewhere, might want to love it. Selling your old tech gear can give it a second chance at getting the affection it deserves—and put a few bucks into your pocket. But where’s the best place to sell used tech? How can you keep your devices in good shape so you get maximum resale value? And, most importantly, how do you wipe away all traces of your personal data? The good news is that these important questions don’t have complicated answers. With a little know-how, you can easily get a healthy return on your old gear and make sure it’s as empty of data as the day you bought it. It’s a good bet that any laptop, smartphone, or tablet you own contains a wealth of information about you. Your device’s data may include anything from your address book to your Amazon account ID to several years’ worth of TurboTax data. Needless to say, you wouldn’t want the new owner to see even a shred of this data, which is why it’s important to erase it all before you make the sale. But before you start, make sure you've backed up any data you want to keep or transferred it to your new devices.It’s a good bet that any laptop, smartphone, or tablet you own contains a wealth of information about you. Your device’s data may include anything from your address book to your Amazon account ID to several years’ worth of TurboTax data. Wiping a smartphone or tablet is easier than you might think. On an older Android device, simply tap Menu, Settings, Privacy, Factory data reset. With a newer version of Android, open the Settings app, scroll down to the Personal section, tap Backup & reset, then Factory data reset. 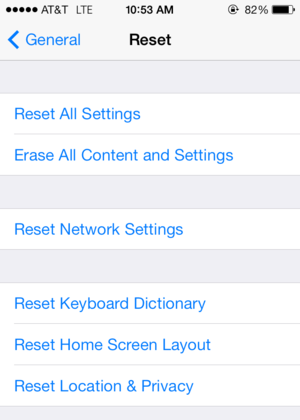 On an iOS device, open the Settings app, tap General, then scroll to the bottom and tap Reset. Finally, tap Erase All Content and Settings. Laptops are a little more complicated, but your best bet is to securely reformat the hard drive and reinstall the operating system. For Windows PCs, you can follow detailed instructions here. For Mac OS X, Macworld has detailed instructions here, and Apple has instructions for erasing and reinstalling OS X Snow Leopard, Lion, Mountain Lion, and Mavericks. 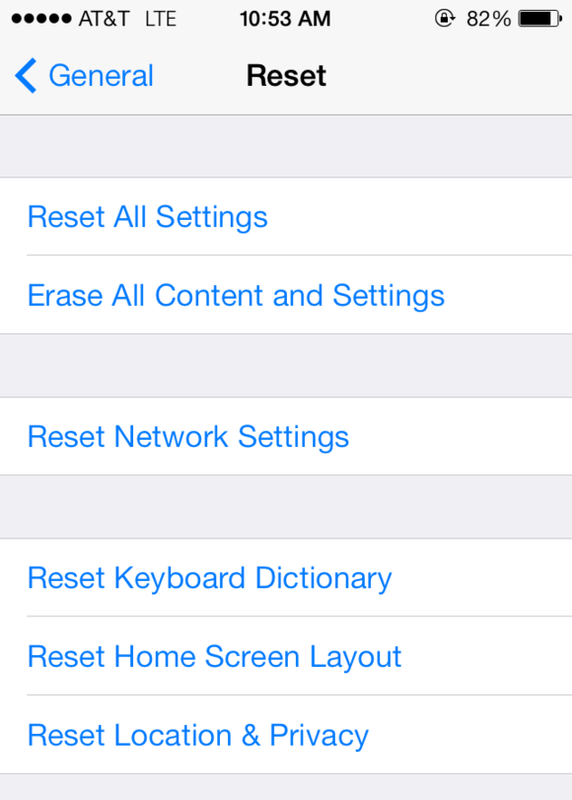 When you erase, be sure to use one of the secure erase options provided to help prevent the new owner from being able to recover your data. If your Mac has a solid-state drive (SSD), you will need to use a workaround to securely erase your drive. If you don't have a recovery partition or the recovery discs that came with your computer, contact your computer's manufacturer or visit their support website to see if they have a downloadable system recovery tool that you can use. No matter what, before you erase your hard drive, be sure to deauthorize accounts for iTunes and cloud storage services, as well as activation keys for any software you plan on reinstalling on your new computer. Use a soft cloth—such as a microfiber cloth—to wipe off your soon-to-be-sold gear. Once you've cleared off your data, take a few minutes to clean off your device's exterior. Make sure you switch your device off and remove the battery if you can. Next, use a soft, damp, lint-free cloth and wipe off the outer shell. If you're trying to remove some stuck-on goo, apply gentle pressure, but don't rub too hard. If plain water isn't getting the job done, use a mild solution of water and distilled white vinegar (50 percent of each) to up the cleaning power. Done? Good. This is a good time to take a few photos to go along with a Craigslist or eBay listing, if you intend to go that route. Take your photos in a clutter-free spot that has bright, indirect lighting. Shoot your devices from several different angles—straight on, from the sides, the back, and so on—so potential buyers can accurately gauge the condition of your equipment. 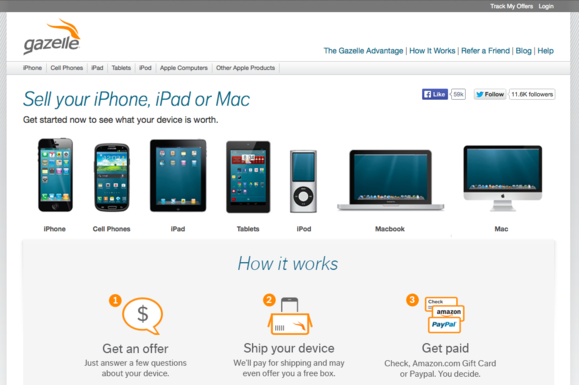 If you're looking to sell your tech, Gazelle is one site worth checking out. Now that you’ve given your gear a digital and physical scrubbing, you’re ready to turn it into cold, hard cash. One key question you’ll need to answer: Are you willing to accept less money in exchange for a faster, easier sale, or do you want to maximize your profit, even if it means more work and some uncertainty? If you’re in the latter camp, head to old-standby services like Craigslist and eBay, where you can build your own ad/auction and set the price for your device. There’s no guarantee you’ll get that price, and it could take days or even weeks before your item sells—if it sells at all. On the other hand, if it’s an in-demand item and you’re asking a reasonable amount, you could end up with cash (or PayPal) in your pocket before the day is out. Haven’t used these services before? You can find some helpful advice by reading our Craigslist tips for power users and eBay laptop-selling tips. Best Buy will take back your old electronics in return for store credit. And if your gadgets aren't salvageable, the company will recycle them for you. If you’re looking for a faster, more hassle-free option, consider a trade-in. Amazon's reseller program, Best Buy's trade-in program, and dedicated online services such as Gazelle and NextWorth all offer cash (or electronic gift cards) in exchange for used phones, tablets, iPods, and other electronics. Some, but not all, will accept cameras, game consoles, and laptops, as well. The process works like this: You provide a few details about your item (make, model, condition, etc. ), then the service quotes you a trade-in price. If you accept the offer, you’ll get a prepaid shipping label so you can send in the gear. Once the company receives it and verifies the condition, you get your cash or credit. The downside, of course, is that you won’t get top dollar for your stuff. And there’s a chance you’ll get even less if the service decides it doesn’t match your description. 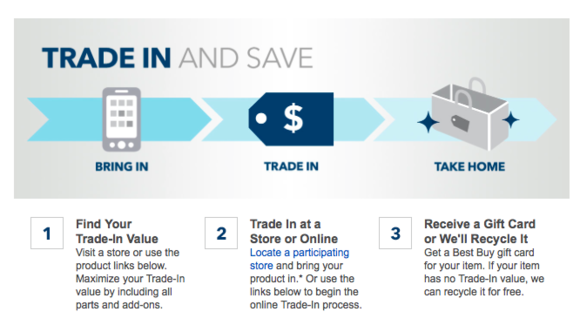 But the trade-in option is definitely the quickest and most convenient way to go. For many sellers, that might be worth a lower payout. Another service worth considering is Glyde. It works like a hybrid between Craigslist and buy-back sites: Tell Glyde what you want to sell, provide some information on its condition, and provide a suggested selling price. When it sells, Glyde will send you a shipping box for your used item, then play you the full amount save for the requisite handling fee. It’s crazy to think about, but at some point down the road, your shiny new laptop/smartphone/tablet will end up as your tired old laptop/smartphone/tablet. When that happens, you’ll want to sell it just like you’re doing with your old stuff right now. By planning ahead, you can ensure maximum resale value in the future. For starters, skip the engraving. It may seem like a nice way to personalize a phone or tablet, but it’ll turn off potential buyers and lower the trade-in value. If you really want personalization, consider a customized skin that you can remove cleanly. If it’s a phone or tablet, you should also apply a screen protector to thwart scratches and reduce the risk of breakage if the device takes a tumble. Likewise, minimize scuffs and other signs of wear by always keeping it in a case. Finally, make sure you keep everything that came with your device: the box, the accessories, and even the receipt, just in case the buyer wants proof of purchase for warranty purposes. Your ultimate goal is to make your old gear seem as new as possible, because that’s how you’ll get the best resale return on your investment. This story, "How to sell your old tech while protecting your data" was originally published by TechHive.